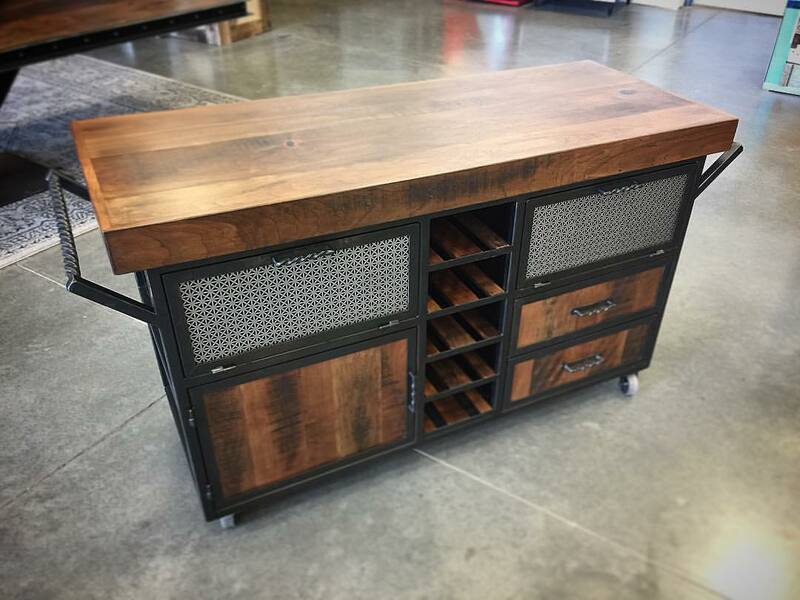 We built this steel and cherry rolling kitchen island as a prototype spec piece for sale/auction for a local non-profit. It has built in wine glass and bottle storage as well as drawers and cabinets for extra storage space. There are several hand-twisted elements we added in. There is a very unique history in the cherry lumber we used as well.